Sopelana’s El Peñón was founded on the 18th of June of 1998. 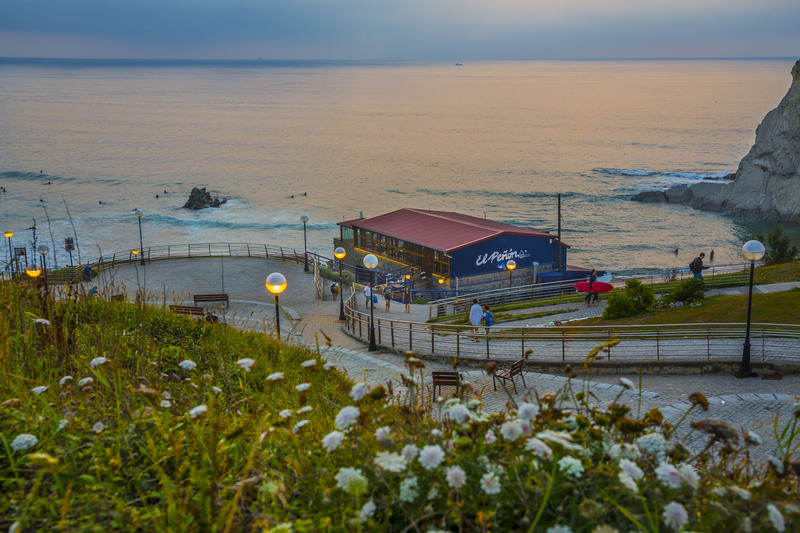 This bar restaurant is located by the sea, on Sopelana’s Atxabiribil Beach and has become an esential meeting point of the coast of Biscay. Usually known as El Peñón, Sopelana’s El Peñón has magnificent views of the sea. Its privileged location and wonderful surroundings create a unique place to have a drink and a snack while the sun shines and the sea breeze caresses us. We offer various services such as: Private Parties, Weddings, Birthdays, Christenings, Stag/Hen Parties, Anniversaries… We also organize events for companies. Several brands (Nike, Nissan Micra, Suzuki…) have already celebrated with us. Every year, between the 18th and the 25th of June, we host a party to celebrate our anniversary. We like to invite celebrities to support and collaborate with NGOs. Eugenia Santana (Miss Spain), Jacqueline de la Vega, Yvonne Reyes y Paula Vázquez were some of our guests. We have 3 terraces at different levels with a surface of 600 square meters. Upper bar: can host and cover 100 people. This number doubles (200) if uncovered. Lower bar: can host and cover 80 people. 200 people can fit if not covered.. The upper area can be prepared for whatever need our customers have: Weddings, Christenings, Birthdays, Private parties… That way they can celebrate their party by the sea with the best view ever. If you have an idea, call us and ask for a budget! We aim to help the businesses of the area, therefore, our dishes are made with products acquired in the shops nearby.